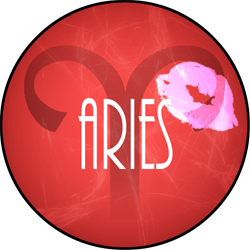 No matter what challenge she confronts, Aries has a wonderful ability to bounce back. Her optimism remains untouched by hardship. Full of curiosity, she dances through life and finds magic in every experience. Expect life to take a new unexpected turn this month but have no fear about these new challenges as long as you keep under your pillow a copy of The Real Simple Guide to Real Life, Adulthood Made Easy edited by Noelle Howey. It explains in a fun but explicit way to women in their twenties and thirties how to navigate life with confidence and style, and touches upon everything from cooking and dressing to working, decorating an apartment, and dealing with boyfriends and breakups. Taurus does not love to mingle with the crowd too much. Even if she lets you get close, she may only let you get close as far as she chooses. 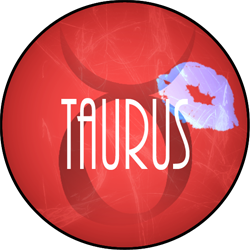 Try to change her mind, and you may as well try to get the Niagara Falls to flow backwards.Your calendar looks very social this month Taurus and you will make quite a few good professional contacts. Before heading out, paint your digits with Sparitual’s nail lacquers. Such pure hues as Idyllic Pink from this vegan collection which is free of parabens, DBP, toluene and formaldehyde are sure to appeal to your exclusive taste. Beautiful Bulls: Nina Garcia, May 3; Penelope Cruz, April 28; Tina Fey, May 18; Megan Fox, May 16; Cate Blachett, May 14; Adele, May 5; Dian Mills O’Reilly, May 10; Kirsten Dunst, April 30th. 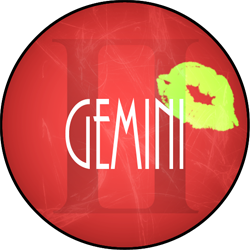 Curious and sometimes even mischievous, Gemini loves to jump from one thing to another as variety is the spice of her colorful life! This spring, you will find Geminis running on the beach, swimming actively and bicycling down Central Park, loving them all. A Gemini would be all the wiser to spray Coola’s new line of wholesome sunscreens on her skin to protect it. Waterproof, infused with anti-aging antioxidants and a SPF of 50, the collection of sprays with 70% organic ingredients is sure to keep her skin from sun damage during her escapades. Gorgeous Geminis: Angelina Jolie, June 4; Bar Refaili, June 4; Ashley Olsen, June 13; Pam Grier, May 26; Heidi Klum, June 1: Marilyn Monroe, June 1; Natalie Portman, June 9; Venus Williams, June 17; Zoe Saldana, June 19. Though she is caring with friends and family, Cancer may seem just a touch moody and guarded to outsiders. 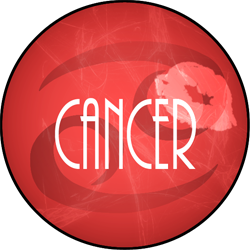 This is her protective shell for a sensitive nature that includes a lot of compassion and love.This month Cancer may expect a bit of upheaval in her professional life, requiring an extra measure of control. To simplify her body routine, she should exfoliate her face and body with Clairvoyant Beauty’s Coffee Butter Body Scrub. Honest and real, it hides nothing harmful or mischievous to hurt her delicate nature and leaves skin polished,balanced and beautiful.The packaging is even made from Forest Stewardship Council paper and produced in a wind-powered facility. Captivating Crabs: Meryl Streep, June 22; Frances McDormand, June 23; Deborah Harry, July 1; Princess Diana, July 1; Wendy Williams, July 18; Kristen Bell, July 18; Selena Gomez, July 22; Frida Kahlo, July 6, Gisele Bundchen, July 20. Heart rules for Leo. Her fiery personality thrives on drama and abundance while her hospitality helps her win the world over. Full of passion for the outdoors, don’t be surprised to see Leo this Spring running barefoot in the garden, weeding out the alleys, and clipping the hedges. Don’t over exert yourself Leo -- take time to restore your hands to beauty in the evening with Earth Therapeutics Gardener’s Hand Repair with hints of sunflower seed oil, aloe vera, orange flower extract and more to moisturize and mend your lovely paws. Intellectual and with a keen eye for detail, Virgo requires no less than perfection to fully blossom into her true unique self. This month, Virgo can expect a unique opportunity to tie the knot with a longstanding beau. Her romantic prospects will be reinforced by using Dr Hauschka’s new line of feather light Foundations in a silky texture that works with her skin’s chemistry to create a radiance tailored to her skin tone. This foundation nourishes the skin with healthy ingredients that are devoid of synthetic preservatives. Perfect enough for a Virgo! Every Libra's fantasy is to find the man of her dreams. 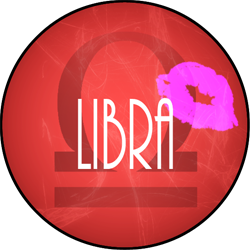 Libra is also a real beauty maven who loves to wear bright hues that reveal her happy-go-lucky personality, and no emotional upset can keep her down for long. On her bathroom vanity this spring, you can be sure to find the The Hard Candy Limited Edition of color cosmetics and nail color to celebrate the 20 year anniversary of the brand. With eight shades of nail polish in the original packaging with the iconic Hard Candy rings, an eye shadow palette featuring a kaleidoscope of colors, four liquid eyeliners, three lip-glosses and two shades of Heart Baked Blush, Libra is sure to look glamorous without breaking her bank. 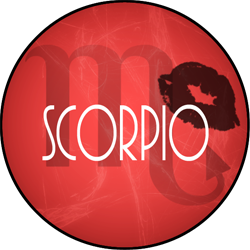 Reputed to be the "most powerful" sign of the zodiac, Scorpio has a magnetic personality and often attracts intense and dramatic personal relationships. Charming, always confident, her biggest challenge and test in life is choosing between love and power. This month, make sure to sail the Spring waters with confidence, since a great opportunity will surface toward the middle of the month that you cannot miss. To be ready for your moment, keep a mini beauty arsenal in your clutch such as the fabulous Blush It On Contour Palette by Paula’s Choice that highlights and shapes cheeks with six shades. With a bronzer, highlighter, and 4 blushes, you'll be ready to take over the world. Sultry Scorpios: Katy Perry, October 25; Emma Stone, November 6; Grace Kelly, November 12; Jodie Foster, November 19; Ming-Na Wen, November 20; Goldie Hawn, November 21; Jamie Lee Curtis, November 22; Marie Curie, November 7; Marie Antoinette, November 2. 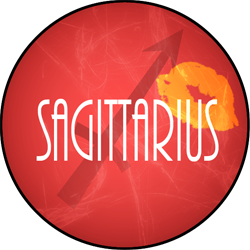 Great perspectives are opening up for you this month Sagittarius, as you love to explore new ideas and take different paths to forge new ground. When most keep choosing the same old formula, you always take a different route. For this reason, your beauty routine is different from anyone else. While most take care of their skin from the outside in, you take care of it from the inside out, with Maxi Skin Collagen + C & A certified Gluten Free tablets with Verisol ® to fight wrinkles and increase collagen in your skin. Scintillating Sagittarians: Christina Applegate, November 25; Tina Turner, November 26; Kathryn Bigelow, November 27; Bette Midler, December 1; Tyra Banks, December 4; Judi Dench, December 9; Taylor Swift, December 13; Anna Faris, November 29; Britney Spears, December 2, Jane Austen, December 16. 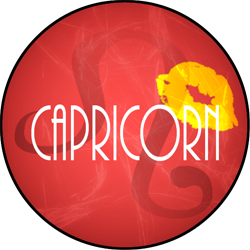 Ambitious Capricorn is always rushing up the ladder of success. Prompted by the ruling planet Saturn, she embraces new challenges and may stifle her emotional needs to satisfy her ambition. This month, let romance lead the way Capricorn -- take a little time off to pamper yourself and enjoy being you. To work a smooth and healthy tan in a few minutes before going out into the world, dab your face with Jessica Robertson’s Natural Facial Bronzer. You'll love the golden subtle glow along with a reduction of pores and fine lines. Enjoy! Glamorous Goats: Carolina Herrera, January 8; Helena Christensen, December 25; Katie Couric, January 7; Hikaru-Utada, January 19; Kate Moss, January 16; Nigella Lawson, January 6, Patti Smith, December 30; Zooey Deschanel, January 17; Sienna Miller, December 28. Aquarius thrives with ideas to better the world and the planet we all share. Attracted to causes such as the survival of mother earth and global warming, Aquarians can truly dig organic brands such as Acure, with its reasonably priced collection of hair care products that utilize argan oil sourced directly from farmers in Morocco. This speaks to your global breadth, Aquarius -- and will glam up your flowing tresses at the same time. Winsome Water Bearers: Geena Davis, January 21; Ellen DeGeneres, January 26; Oprah Winfrey, January 29; Kerry Washington, January 31; Shakira, February 2; Elizabeth Banks, February 10; Jennifer Aniston, February 11; Christina Ricci, February 12; Kelly Rowland, February 11. Pisces is often a dreamer with a rich imagination. If you're a Pisces, this month has much to offer: love is definitely in the air for you. When you feel upset, remember to exercise or jump in the pool to redirect your thoughts. Water is healthy for you! If you fear chlorine odor and skin irritation will ruin a fine evening, then Swim Spray can help reduce its effect on your hair and skin. 400 times more effective than anti-chlorine shampoos, you simply need to spray after getting out of the pool and before showering. 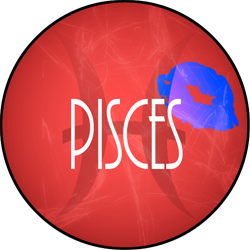 Perfectly Piscean: Ellen Page, February 21; Drew Barrymore, February 22; Chelsea Handler, February 25; Rashida Jones, February 25; Elizabeth Taylor, February 27; Patricia Mills, March 1; Carrie Underwood, March 10; Eva Longoria, March 15; Jessica Biel, March 3, Olivia Wilde, March 10.